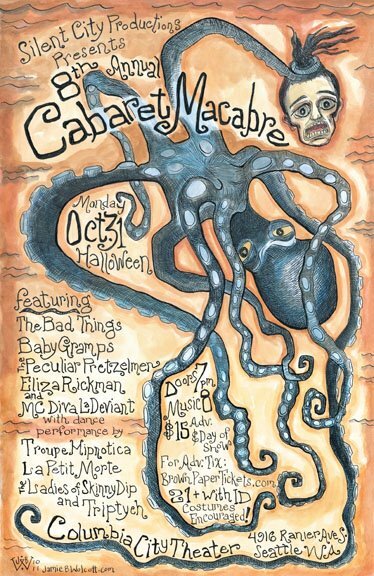 The 11th Annual Cabaret Macabre! Tickets on Sale Now. 10 Days to Halloween and the 9th Annual Cabaret Macabre! Halloween is almost upon us people and tickets are flying out the door, so I highly recommend picking up yours right away over at Brown Paper Tickets. We got a hell of a lineup, sure to be one of the best lineups yet. Baby Gramps! The Peculiar Pretzelmen! Bakelite 78! Bella Jovan International Belly Dancer! La Petite Mort! And, of course, our incomparable MC Diva le Déviant. Hesitate at your own peril! The 8th Annual Cabaret Macabre Monday, October 31 at 7:00pm! Danbert Nobacon/Bad Things collaboration out October 19th!! 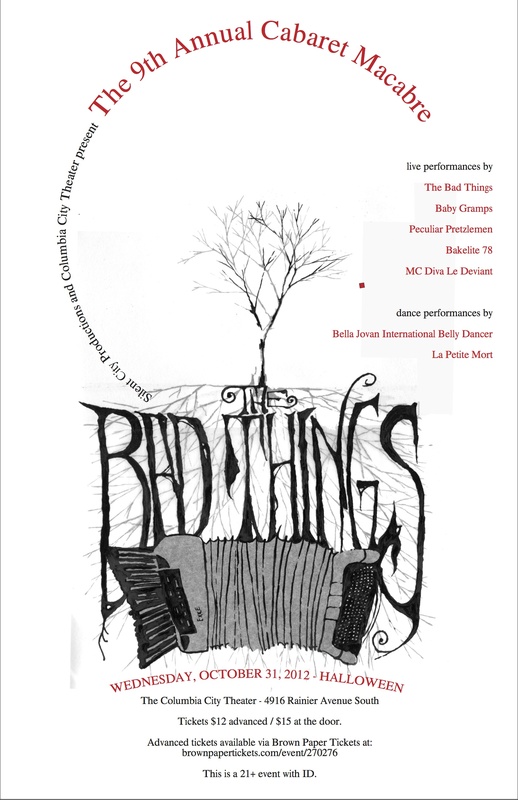 WANNA SUBSCRIBE TO THE BAD THINGS MAILING LIST? CLICK HERE.